University of Queensland's Global Change Institute has taken out the 2016 Queensland Rider Levett Bucknall Development of the Year ahead of the 2016 Property Council of Australia National Innovation and Excellence Awards. The Global Change Institute was selected as the state’s best development from the 23 Queensland projects in the running for the prestigious national property awards. 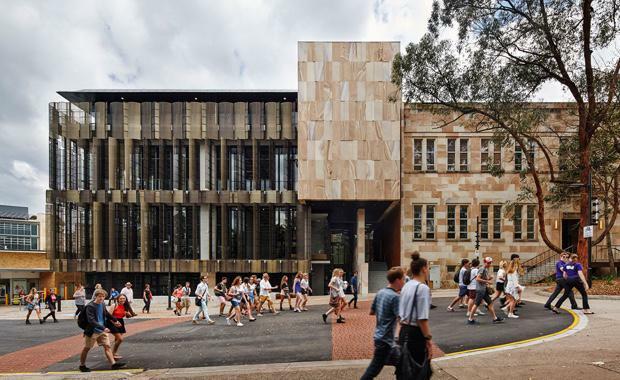 Queensland Executive Director of the Property Council of Australia, Chris Mountford said: “UQ’s Global Change Institute demonstrates how buildings can be producers, rather than consumers of natural resources." “The building has been designed to achieve a zero energy and zero carbon position and sets a new ideal for sustainable practice. “The world-leading design has become a valuable research tool for the demonstration of innovative building systems and an exemplar of naturally ventilated operation. “The Global Change Institute building will provide the perfect environment to inspire its occupants in their research and collaboration on global change. Last year the Global Change Institute won the David Oppenheim Award for Sustainable Architecture and the National Award for Interior Architecture at the Australian Institute of Architects’ Annual Awards. The Property Council of Australia / Rider Levett Bucknall Innovation and Excellence Awards celebrate leading practice within Australia’s property development and investment industries. National award winners will be announced at the Innovation and Excellence Awards Gala Dinner, to be held in Sydney on Friday 3 June 2016.